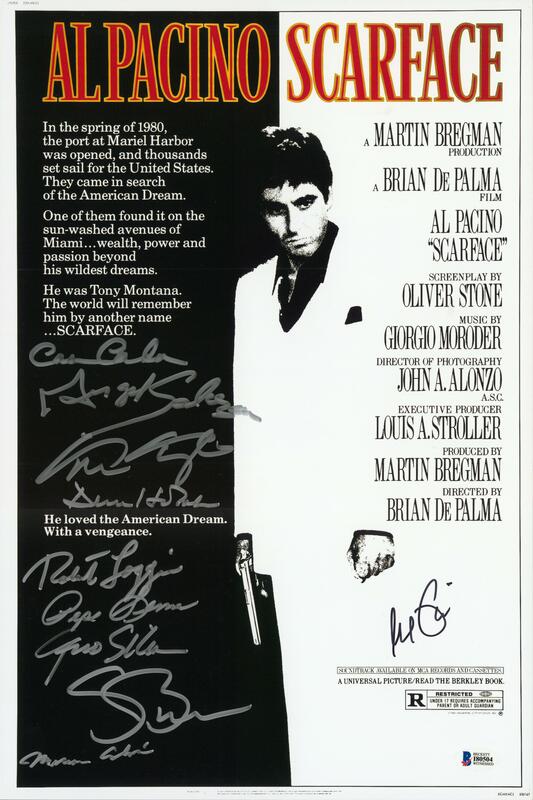 This Scarface movie poster has been signed by 10 cast members of Brian De Palma’s seminal gangster film. 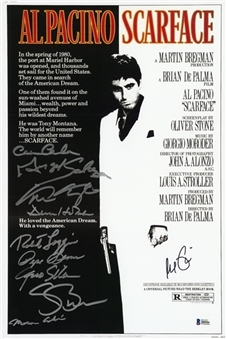 This poster features the signatures of Al Pacino, Robert Loggia, Steven Bauer, Miriam Colon, Angel Salazar, Pepe Serna, Dennis Holahan, Mark Margolis, Geno Silva, and Caesar Cordova. The signatures have been written in silver and black marker. 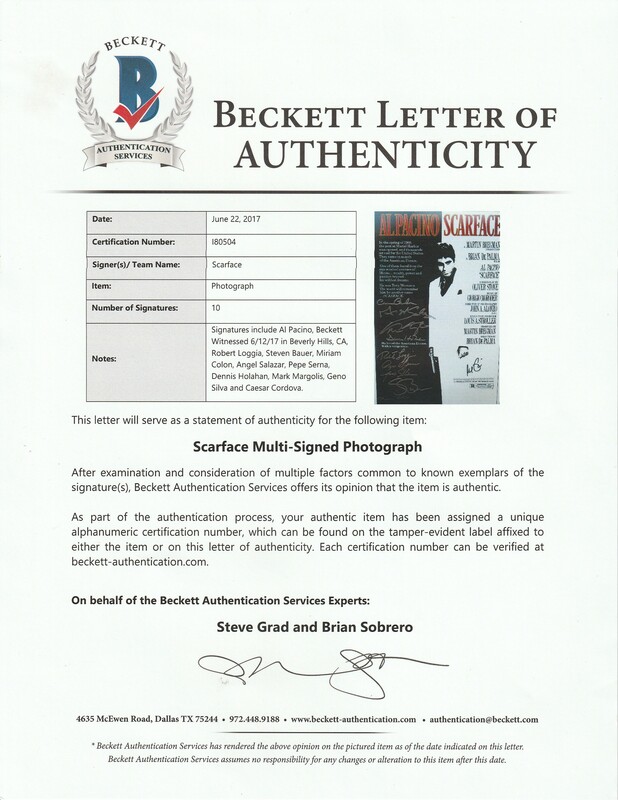 This item measures 12 x 18 inches and comes with a LOA from Steve Grad of Beckett Authentication (I80504).